Can you imagine a really tight railway line passing through a crowed market? Can you imagine a so tight railway line that market traders have to move out and even dismantle their shop displays when the train is approaching? Can you imagine a track so close to buildings that locomotives brush past children playing in the streets? Can you imagine all this in one only railway line? Well, if you can, you must go to Hanoi, Vietnam, to see your dreams come true! The route cuts through tight streets in the city’s old town district, heading to Long Bien Bridge. The locals know when the train is coming (at four or six o’ clock) so they all move out of the way and continue talking while the train goes past. Railway-related accidents account for 2 per cent of all deaths annually in Vietnam. Many deaths occur at illegally-built crossings with no barriers or warning signs. 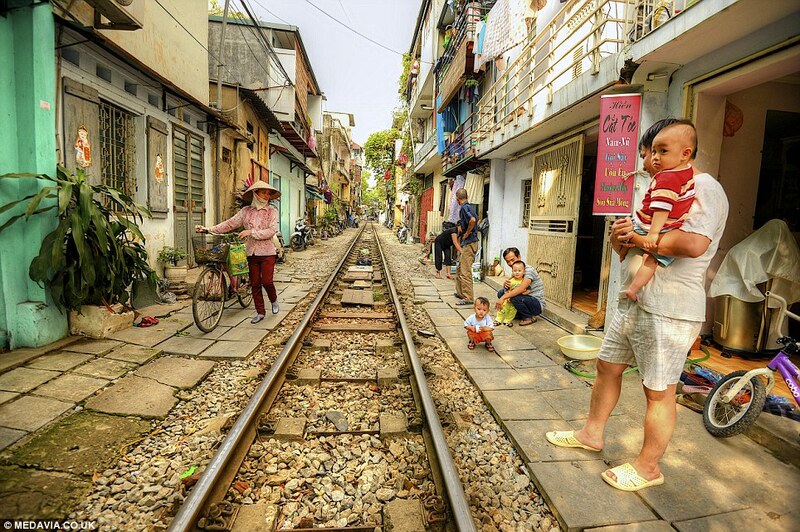 There are an estimated 5,000 illegal railroad crossings in Vietnam. Do Vietnam need a safety features improvement?